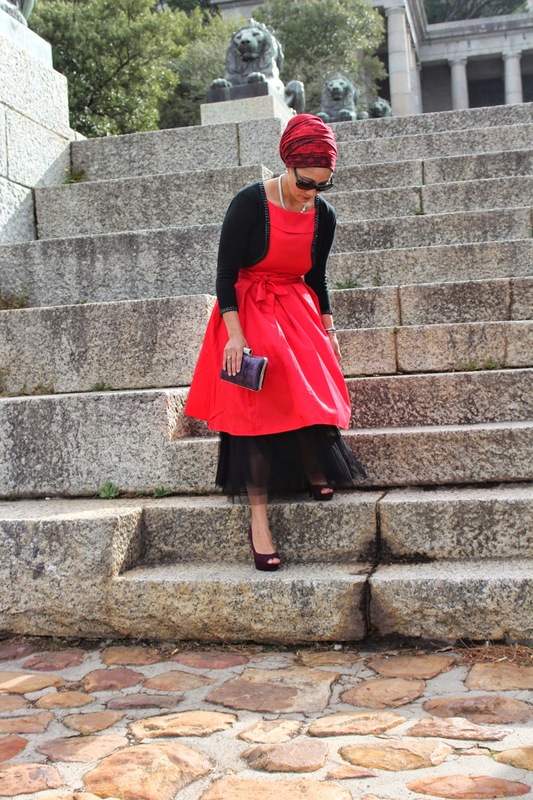 This is my last post in the Makoya Brands Challenge, and I have had so much fun coming up with all these looks. As I indicated in my first post it was intimidating embarking on this project, but it has turned out to be awesome just to be included in something which gets my creative juices flowing. Aside from the first look I shot, the rest of them were shot in really dreary weather. 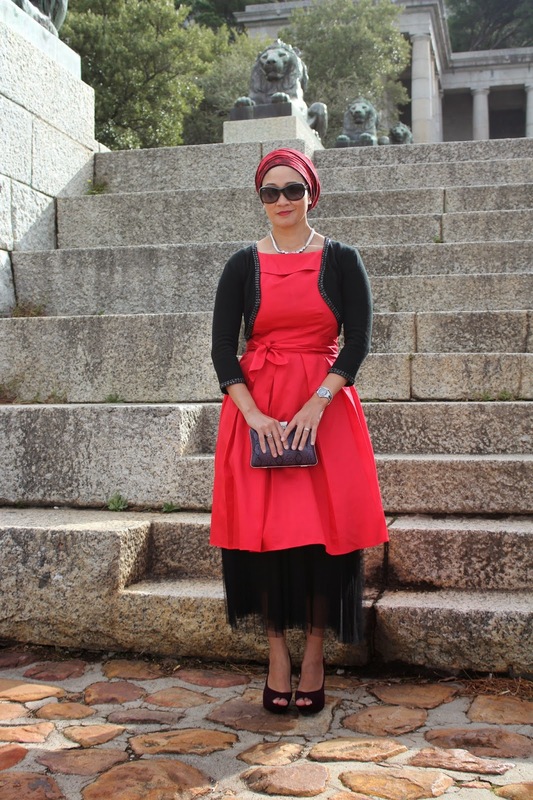 My outfits were centred around Autumn and were chosen specifically to reveal the different facets of my fashion personality. I love trying different looks, and putting together something original while still being trendy. Today’s look was chosen to embody my girly side, the side who loves dressing up and looking like a princess - with an original twist. 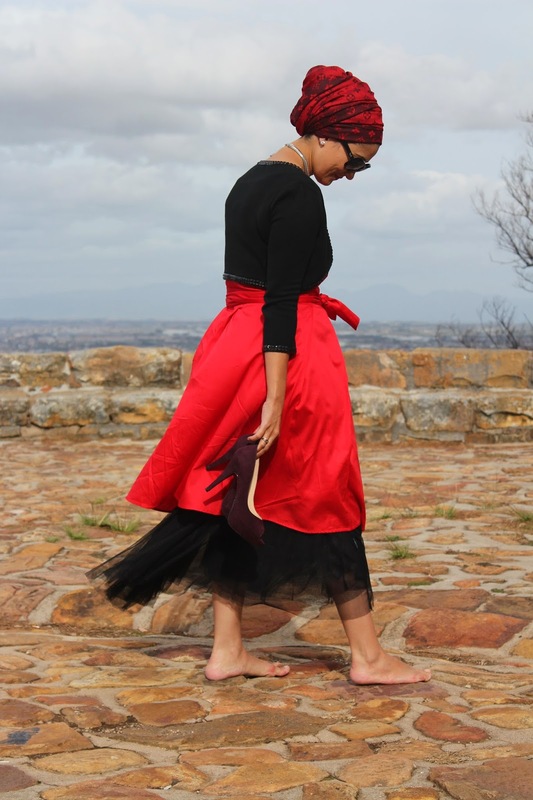 The full skirt trend has really caught my attention and I could not wait to include it in a lookpost. 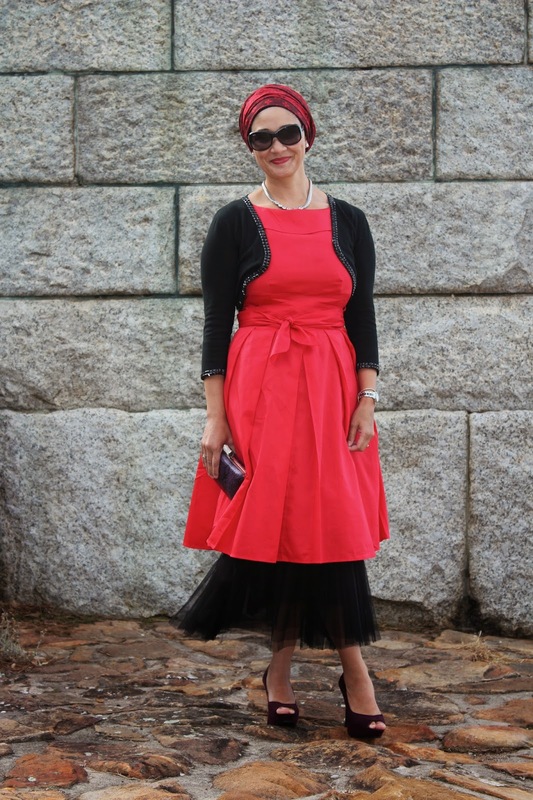 I have paired an old full skirt red dress with my princess skirt for extra volume. A little embellished shrug, and of course the berry beauties finish off the look. It may seem unusual to pair red and purple, but these two colours have been paired rather successfully on the runway in recent shows - so I took the leap and, in my opinion, it worked! Voting will start soon, I’m holding thumbs - May the best gal win!